The films of Alan Clarke generally go straight into the ‘once seen, never forgotten’ file. Features such as ‘Scum’ and ‘Rita, Sue And Bob Too’ courted huge controversy while his groundbreaking TV work including ‘The Firm’, ‘Psy Warriors’, ‘Elephant’, ‘Road’ and ‘Made In Britain’ shone a light on the darker corners of the Thatcher years to devastating effect. Those films and many others adorn the superb new BFI box set ‘Disruption’ which gathers all his television work made between 1978 and 1989 – including David Bowie’s remarkable turn as Baal, Bertolt Brecht’s anti-hero, adapted by Clarke and John Willett from the 1918 play. For some reason, ‘Baal’ was scarcely mentioned in Bowie obituaries as one of his more successful screen performances, a serious oversight. Bravely broadcast by BBC One at 9:25pm on Sunday 2nd March 1982 (cosy Sunday night viewing it wasn’t), ‘Baal’ was filmed at Television Centre (W12 8QT!) during the summer of 1981, just after Bowie had recorded ‘Under Pressure’ with Queen. 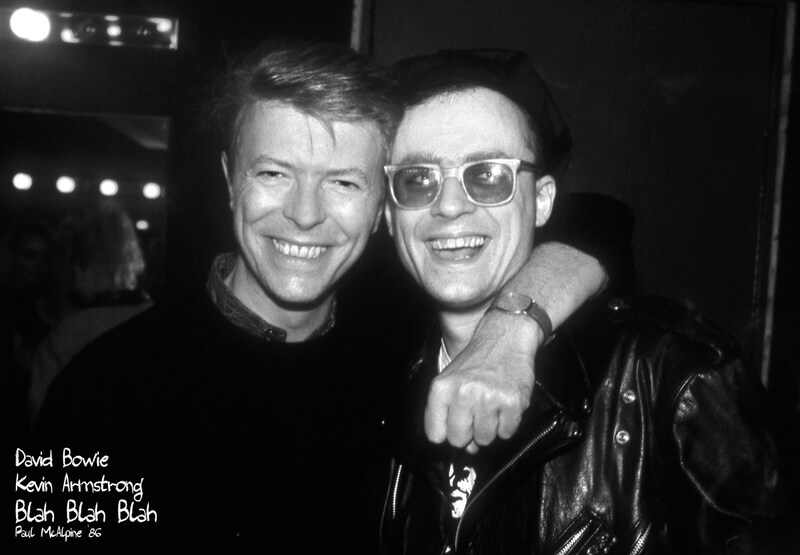 According to producer Louis Marks, Bowie jumped at the chance to portray the ultimate street punk, and was already a fan of Clarke’s work. He was also reportedly completely undemanding, modest and eager to please on set, requesting only a car and bodyguard and receiving the standard BBC fee. Bowie could also hardly look less ‘star-like’ in ‘Baal’, with his battered teeth, dark eyes, ratty beard, grimy face and dishevelled clothes; he completely embodies the role of the amoral troubadour. Clarke captures him mostly in long shot with very lengthy takes in the classic alienating Expressionist style, but the camera positively adores Bowie’s Baal with his alligator grin, dangerous sexuality and moments of sudden violence. He also delivers several plainsong ballads straight to camera in strident, superb voice, accompanying himself on banjo. The subsequent ‘Baal EP’, re-recorded at Hansa Studios with added instrumentation, even got to number 29 in the UK singles chart, Bowie’s last release for RCA. ‘Baal’ makes for fascinating viewing these days and you only wish the Beeb would take such chances again. Critics of the time were pretty scathing about Bowie’s performance, but their comments make for fairly amusing reading these days. It’s scarcely believable to think that only a year after ‘Baal’ was broadcast, Bowie was rocking the zoot suit and peroxide blond quiff for the Let’s Dance media offensive. It’s also virtually impossible to think of another star of such magnitude who would dare take on such a bleak, singular project. A true artist.